Not too bad for a New Zealand child of the 1980s who grew up idolizing artists like Biggie Smalls, Tupac Shakur, Michael Jackson, Andy Warhol, Basquiat and Keith Haring. As he became a teenage painter himself Dippie also discovered the painters of the High Renaissance of the 15th and 16th century and pushed himself to emulate with aerosol cans the brush technique and style of those Italian masters. And so it made sense last week when Dippie skillfully merged imagery spanning five centuries, two continents, and two distinctly different art movements. 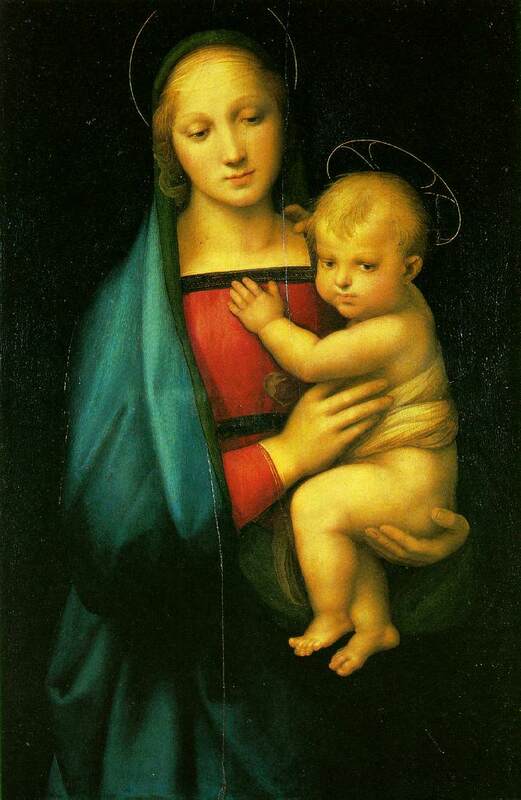 Call it a measured miracle, a ratherish revelation that Dippie completed a deftly realized mashup of Raphael and Keith Haring, with the Madonna del Granduca holding Haring's icon-symbol that is variously referred to as "Radiant Baby," "Radiant Child," and "Radiant Christ." 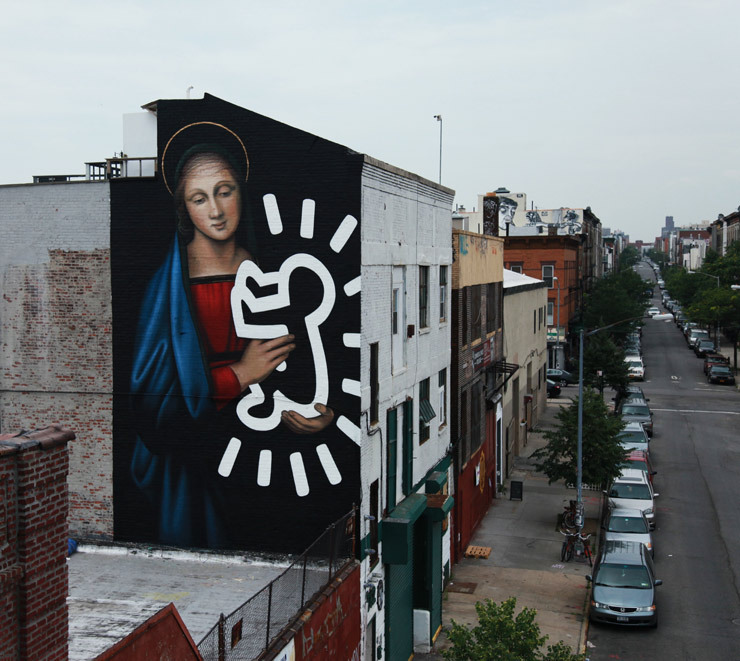 A Christian themed work was not uncommon for works of fresco, tempura and oils during that Italian period and 1980s street artist Haring often included symbols of Christianity in his works -- possibly due to his adolescent adherence to the beliefs of the American Born Again movement. Here on a Brooklyn wall the fulsome realism of Mary is set off by the one-dimensional newborn messiah icon in her stately embrace; a curious combining that nonetheless impresses fans of all three artists. With a sense of reverence all its own, Dippie says he stands in awe of the work that Haring did on the street, in subways, on mural walls. 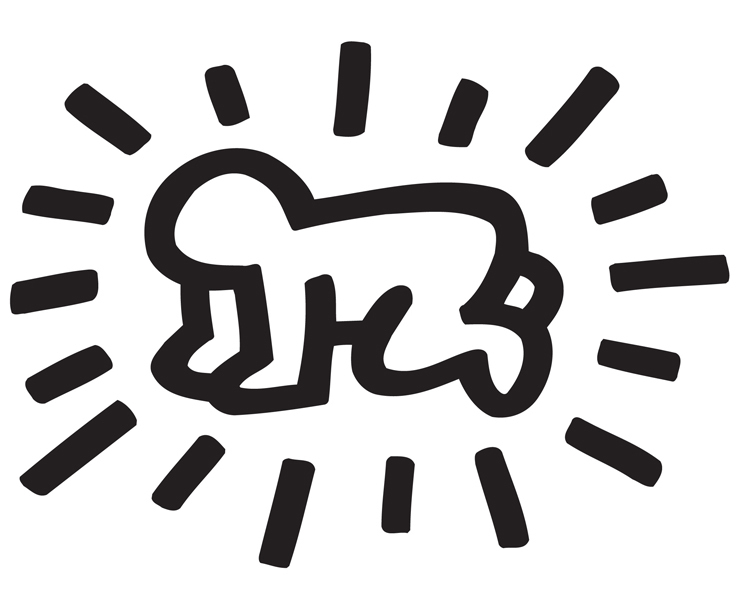 "If art is a religion then Keith Haring is a god," Owen likes to say. 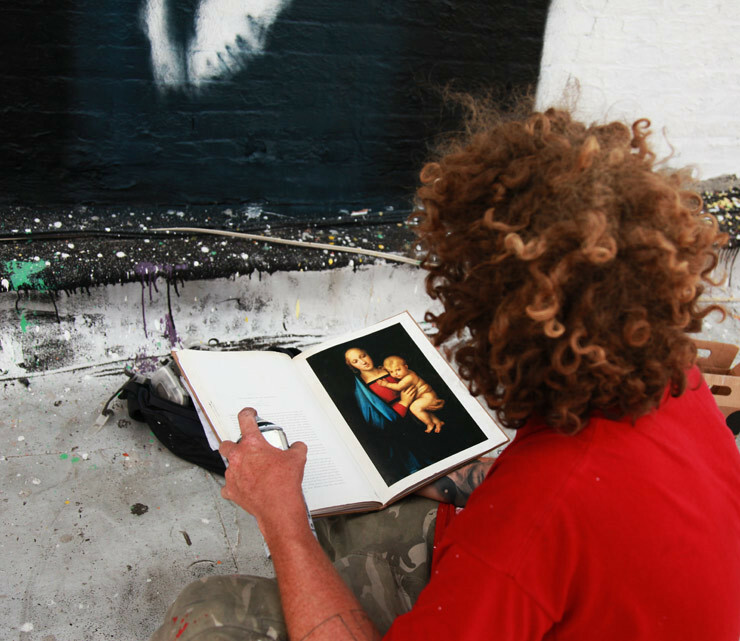 He tells us that it is not exactly hyperbole when he makes a statement like that and entitles the new mural "The Radiant Madonna". 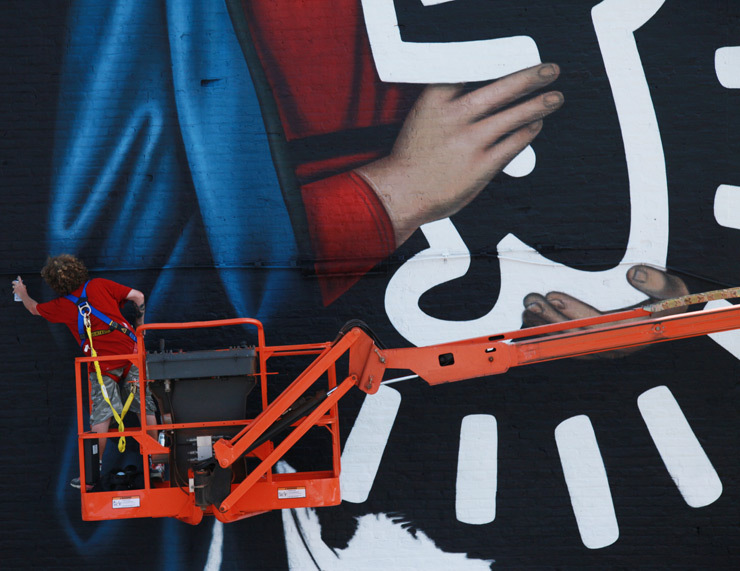 "When I was 13 my teacher introduced me to Keith Haring - and it changed my life," he explains. "I was young -- a troublemaker -- and already I was majorly into art. But from that point on I decided to dedicate my life to art and I have been on this crazy journey ever since." A closer parallel to the Born Again religious conversion story is not often told. You could say Dippie is a Renaissance man in his own way of valuing the humanist, the religious, the classical and the modern. 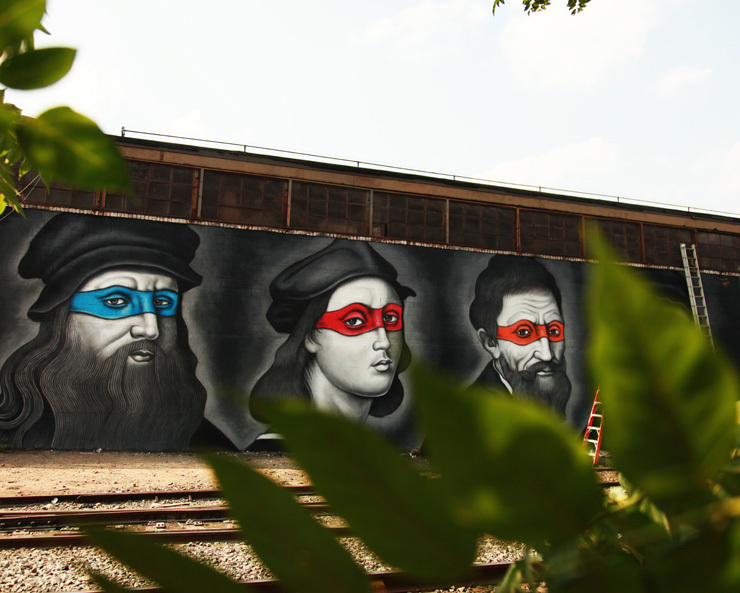 But then there are the Ninja Turtle masks colorfully wrapped around the heads of these familiar faces along a railroad track. "I am a child of popular culture and am inspired by my heroes," he says. 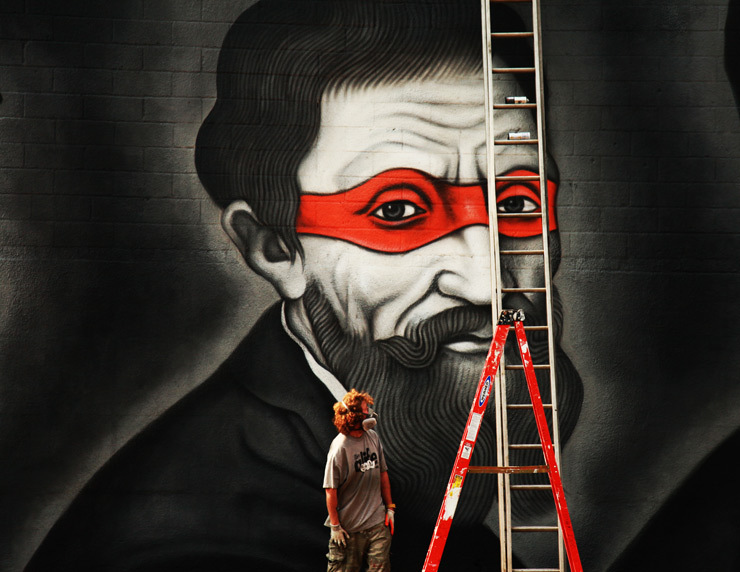 "By involving them in my art I pay my utmost respect to them in the best way I know how." 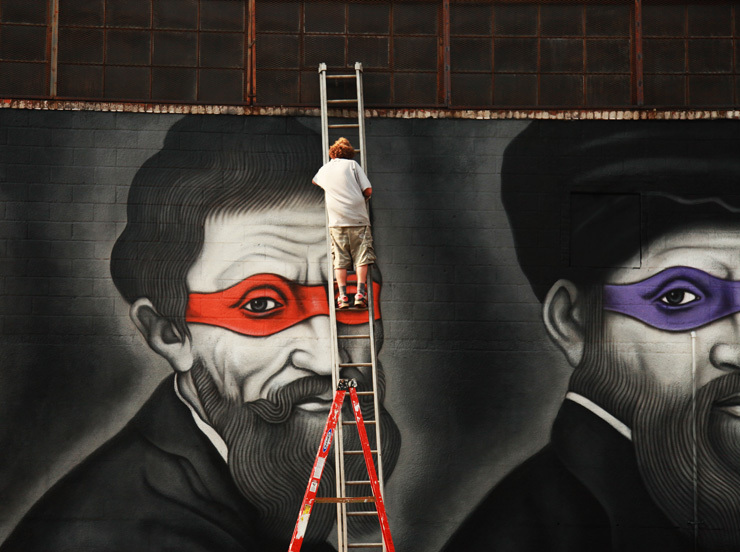 That other show-stopping mural Dippie just dropped in dirty Brooklyn makes greater sense than you may first think when you remember the names of the four cartoon characters who first took to the small screen in the late 80s; Leonardo, Raphael, Michaelangelo and Donatello. Cowabunga! 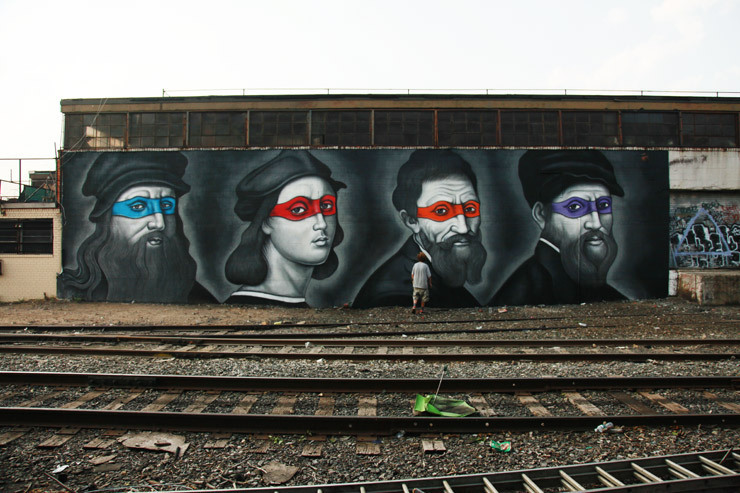 Suddenly, the Renaissance Master-Turtle merger all makes perfect sense. 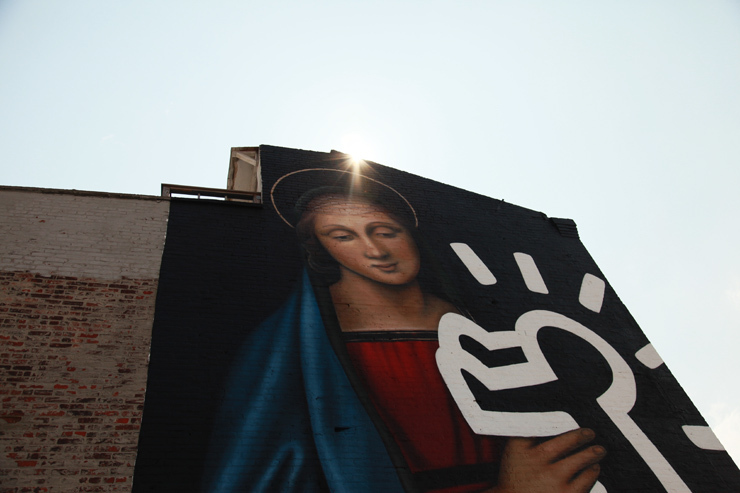 Judging by the enthusiastic reception this mural and the "Radiant Madonna" have received online since we first covered them, Dippie's formula of Renaissance and contemporary pop culture may be a route he can explore very happily for the foreseeable future as an artist.